Honest Burgers is a trendy and fast growing restaurant chain in London. They have developed somewhat of a cult following around their growing number of London restaurants selling honest and delicious burgers and rosemary salted chips. Honest Burgers’ old clipboard waiting list system did not fit with the core values as a transparent, trendy and highly customer service focussed restaurant. The process of calling each customer by phone to ask them to return was extremely time consuming. Customers were uncertain about the wait and often complained they’d been waiting long than they had and returned to the restaurant before Honest Burgers were ready to seat them. Honest Burgers use Qudini’s Restaurant Waitlist App to allow their host managing the door to greet customers with an iPad to take their details into the digital waitlist. 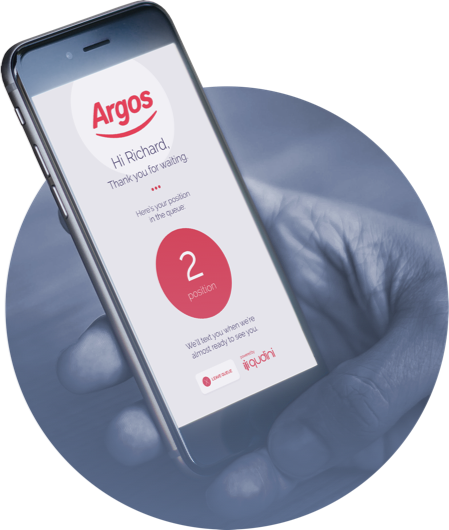 The customers will receive a text confirming they are on the waitlist with an Honest Burgers branded queue tracker weblink, where they can keep an eye on their position and view the Honest burgers menu whilst they wait in a nearby pub. If the customer wishes to cancel they can text back any time. Meanwhile the host can manage all their customers in a simple intuitive interface, letting customers know when their table is ready at the click of a button.